PROBLEM SOLVER: Slick Stick was designed to be a problem solver. PROBLEM SOLVER: Slick Stick was designed to be a problem solver. We do NOT want you to think you have to use this product to make our fabulous Chalk Mineral Paint stick to surfaces. Dixie Belle Chalk Mineral Paint will adhere to most any surface. However, there are some pieces that need that extra little help. For slick, shiny surfaces such as glass, counter-tops, Formica, tile anything slick and shiny! This is a lifesaver y'all!! Using this product first will allow Dixie Belle Chalk Mineral Paint to adhere to the slickest surface! Clean your piece first with White Lightning following directions...don't forget your gloves while using White Lightning! Rinse with clean water and let piece dry. Paint 1 coat Slick Stick, let dry, usually 2 to 3 hours depending on humidity. Apply a 2nd coat of Slick Stick. 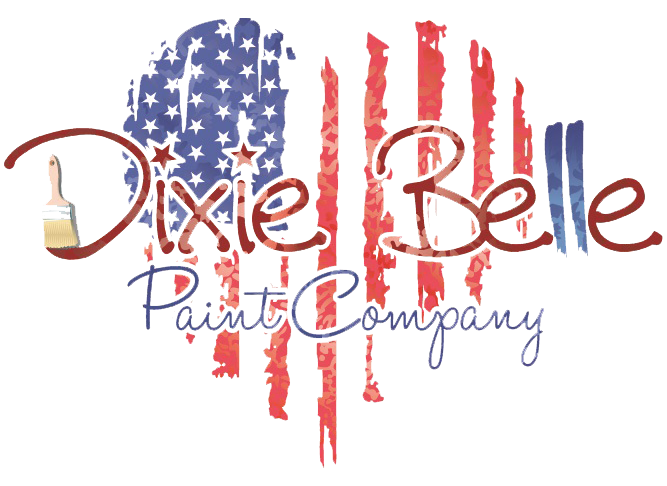 Paint with #BestPaintOnPlanetEarth (aka- Dixie Belle Chalk Mineral Paint)! Had a super glossy piece of wood furniture and painted it with slick stick after thoroughly cleaning and rinsing it. Slick stick worked like a charm. I was then able to use Dixie Belle paint to cover both the wood doors, frame and the counter top. that success, I felt confident painting my dark brown, low grade, ultra smooth "wood" kitchen cabinets. I used the Slick Stick as the primer and Dixie Belle Chalk Paints for a two-tone look. Light gray lowers and soft white uppers. I added black matte bar pulls and found an area rug which mimicked the Moroccan stencil backsplash. A brand new kitchen! But I wouldn't have even started this project without Dixie Belle Slick Stick!